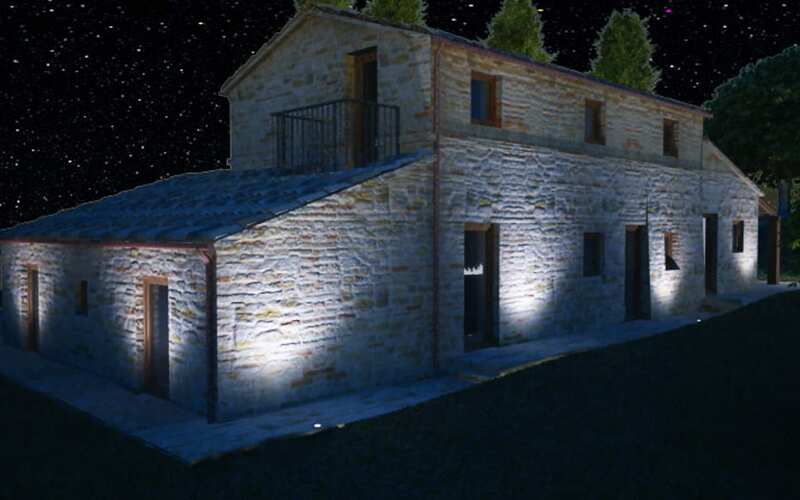 Casa Alighieri is a lovely house constructed in bricks and stones. 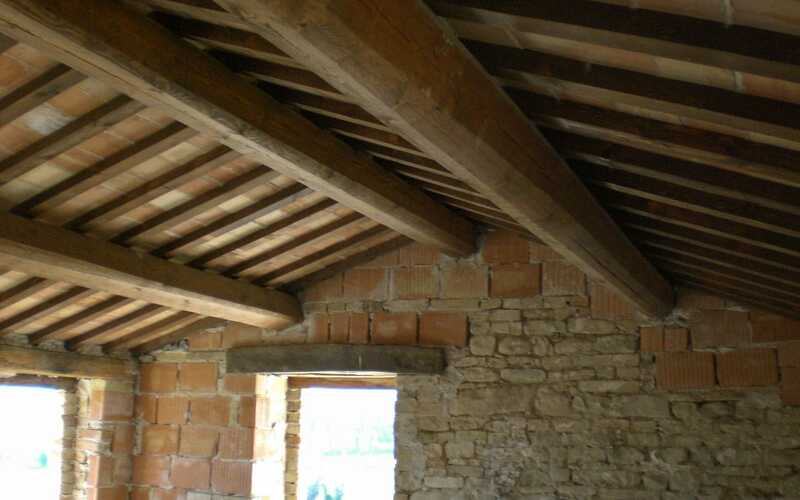 At the moment it is so-called builders finished using the features and materials of the original construction like the original oak beams and local stones. 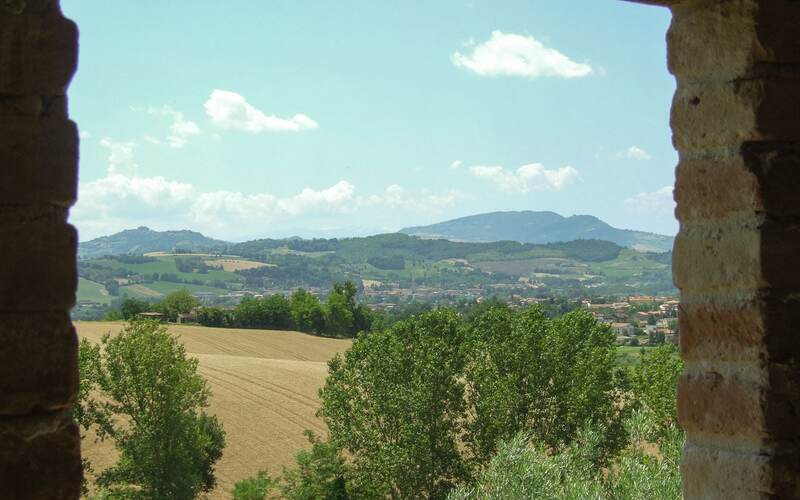 It is surrounded by farmland but is only 1,5k from the town centre of Monte Vidon Corrado. 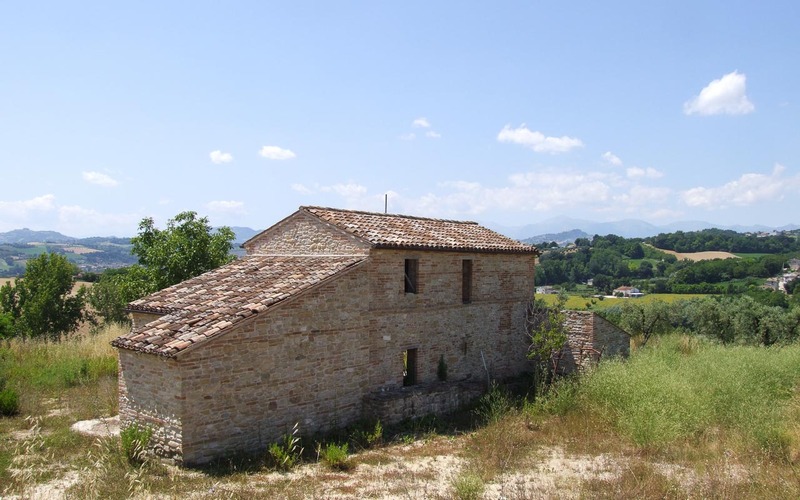 It has a beautiful view over undulating farmland in the south and in the west, you can see the Sibillini Mountains. 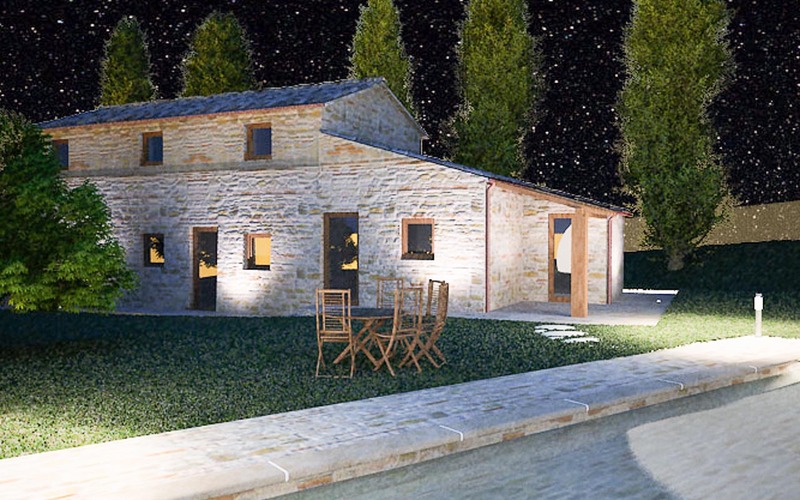 In the original plans, it has been envisaged that inside the house you would have four bedrooms and two bathrooms, a large living room and a kitchen with a separate entrance. 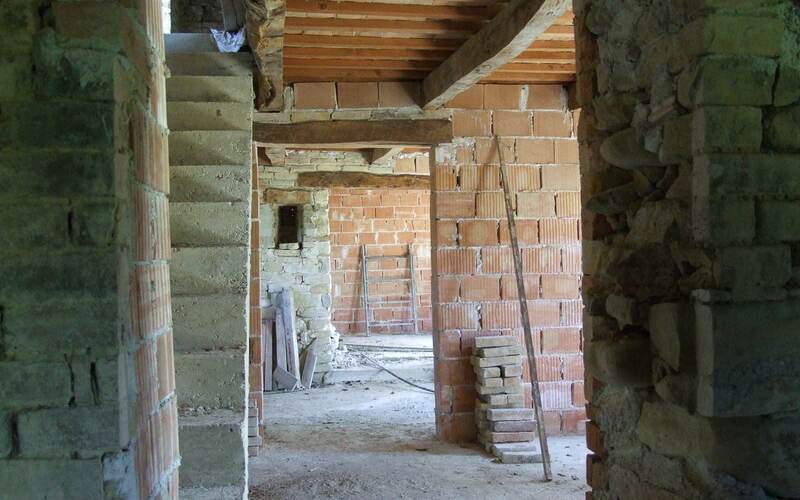 However, the current structure provides enough flexibility to finish it according to your requirements. 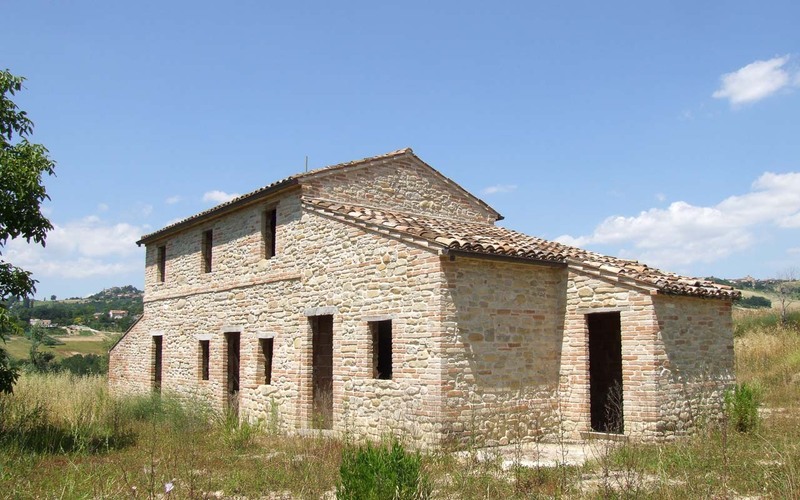 Included in the price is 2.3 hectares with a ‘vigneto’, fruit trees and a well. According to the owner/project developer, the house could be finished within four months.